Manchester Metropolitan University and the University of Manchester will be joining forces once more to bring the next, much anticipated, round of Health Research Accelerator Grants (HRAG). The scheme is targeted at academics from the Faculty of Biology, Medicine and Health at University of Manchester and from the Research Centres for Health at Manchester Metropolitan; Integrated Health and Social Care, Musculoskeletal and Sports Medicine and Centre for Bioscience. The awards will provide pump-priming funds to allow the collaborating researchers from the two institutions to obtain preliminary data that can be used for the basis of an external funding application. The award will be a maximum of £10,000 and must be spent within 12 months of the award being made. The call for applications, and further details on the scheme, will be released in February 2019. Time to start making connections with our friends down the road! Categories: Funding Opportunities | Tags: Health, healthcare, Healthcare Science, hrag, internal funding, MMU | Permalink. All staff and students are welcome to attend this celebration of MMU’s paricipation in the 3 Minute Thesis Competition. The 3 minute thesis is a national competititon in which students are challenged to present their research using 1 slide only in 3 minutes. This event is the culmination of a series of Faculty-based heats and the winner will go onto represent MMU at the national finals. There will be a free buffet lunch and information on the 8th Annual PGR conference, The Innovation Forum and the Brilliant Club. Categories: Event | Tags: 3mt, Event, MMU, Thesis | Permalink. MMU hosts the British Science Association Science Communication Conference on June 18-19. The programme is very exciting, and several of our staff are involved in delivering sessions. If you want to register, as a member of MMU staff, you can register at a discounted rate (the early bird rate). Please contact j.verran@mmu.ac.uk if you have any questions. The Science Communication Conference is a rare oppurtunity to meet with the different communities within science communication! This year the focus will be on collaborating to come up with solutions and actions to address the big challenges facing the sector. There are many different events, including a keynote from Jess Thom and a panel debate on whether scientists should be opinion-formers. There will also be their new challenge sessions – investigate five common problems in the world of science communication and generate strategies to overcome these key issues. If this interests you please click here to find out more information! Categories: Events, News | Tags: british science association, Events, MMU, Science Communication Conference, tickets | Permalink. 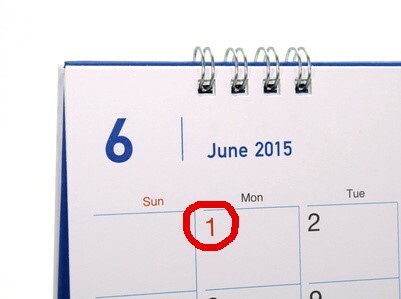 There is just under 2 weeks until the call for proposals to the ESOF 2016 science programme closes, with submissions needing to be made before 1 June 2015 at 10:00 am CET. With themes spanning antimicrobial research to artificial intelligence, the green economy to graphene – there are hundreds of topics to be explored and even more reasons to get involved in the science programme. Playing on Manchester’s unique history as the birthplace of the Industrial Revolution, the overarching theme for the event has been announced as ‘science as revolution’. As such, ESOF 2016 will be an opportunity to discuss the socio-cultural and economic implications and impacts of scientific revolutions from regional, national, European and global perspectives. ESOF has developed into the largest multi-disciplinary science meeting in Europe, where scientists meet scientists, policy makers, media specialists, business leaders and the wider community. The home of ESOF 2016 is Manchester, UK – the city where Marx met Engels and Rolls met Royce. Similarly ESOF 2016 will be a meeting of minds, bringing together many of the world’s foremost scientific thinkers, innovators and scholars from 23-27 July 2016. And 2016 is a special year for science in Manchester, coinciding with the 250th anniversary of the birth of John Dalton – the father of atomic theory. ESOF will be the culmination of an 18 month celebration of science in the city. There is still plenty of time for proposals to be submitted for science-based seminars, workshops and debates on the latest research and policy issues, all of which are warmly welcomed. This is an open invitation to individuals and organisations alike and it is hoped that the call will inspire our foremost thinkers and researchers from across the global scientific community to take a unique look to share with us how science, technology and innovation has the potential to transform all our lives. Please note that all session organisers and speakers are entitled to complimentary registration for the conference, with access to the full science programme, plenary sessions and the ESOF 2016 exhibition. Categories: Uncategorized | Tags: 2016, call for proposal, ESOF, Event, John Dalton, MMU, Science | Permalink. [Hulme Redevelopment and Playground Scenes] (1968-70/72-73) by Norman Thursby, courtesy of North West Film Archive. The third in this series of museums and academics network events is co-hosted by North West Film Archive (Manchester Metropolitan University) and the Race Relations Resource Centre (University of Manchester), at their shared home in Manchester Central Library. Join us to find about our nationally important collections and how we can support academics and researchers. As university collections we have expertise to offer, but are keen to develop our links with colleagues from across the North West, and hear your ideas for using our collections in teaching and research. This event is also open to professionals from other collections and museums, as we continue the wider discussion about how museums and academics in the North West can work together. Do you have questions about Museums and Academics Research Network Event? Categories: Uncategorized | Tags: archive, Collaboration, Event, manchester, MMU, Networking, society | Permalink. In my final blog on Open Access I will look at MMU’s response to OA. MMU, in common with many other Universities, is adopting the green route to OA. This means that we are putting research outputs into e-space, our institutional repository, which will then allow them to be viewed freely over the Internet. This will increase readership and disseminate the research beyond traditional journal subscribers as described in my previous blogs. One of the reasons MMU is not going down the gold route for OA publication for most of its research output is that there is usually a cost involved. This cost, the Article Processing Charge, or APC, will have to be paid for by the University. In the wake of the Finch Report, RCUK gave some help to offset APC costs in the form of transition funding to Universities, but in 2013/14 MMU received only £11,442 (compared with £824,459 received by the University of Manchester). On current rates of APC charges in high impact journals, this will only pay for about five or six APCs! However, although MMU is adopting the green route to OA, there may be occasions when it is strategically advantageous to MMU to publish research in prestigious, high impact journals (which usually charge an APC). In these cases, funds will be released to pay the APCs. Many publishers, having introduced APC’s to offset the revenue they will lose from subscriptions as more journals become OA, are responding by introducing deals to universities. These often take the form of discounts on APCs if universities sign up to publishers over a period of time. At present, MMU does not publish enough articles with one publisher to make these sorts of deals worthwhile or cost effective. OA publication is a complex and evolving area, which all universities and university libraries are grappling with. Research Council funded research already stipulates that outputs should be published OA; this will be reinforced further as plans for the next REF are rolled out. In these blogposts I have attempted to explain some of the issues surrounding OA and why you should engage with OA publication. If you would like to know more or want to discuss any of the issues raised, please get in touch m.pickstone@mmu.ac.uk , and to give you further help and guidance the Library will shortly be launching an online guide to OA. Categories: Guidance, Impact and Engagement, News, REF | Tags: Impact, MMU, Open access, REF | Permalink. 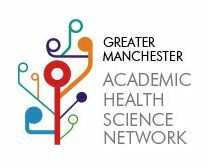 There is a launch event 2:00-3:15pm, Thursday 3rd April to discuss the funding available through the Greater Manchester Academic Health Science Centre Network (GM AHSN) for the Technology Innovation Challenge. Refreshments will be available and there is a chance to network with colleagues at MMU and staff at the University of Manchester who have also been invited to the event. 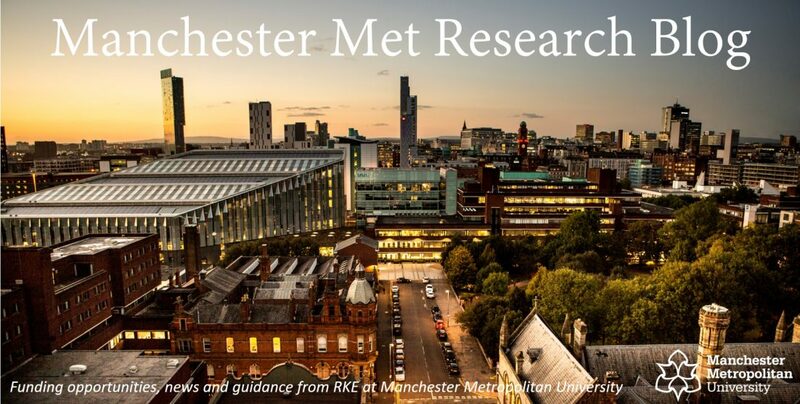 Please email RKE-Events@mmu.ac.uk to register your attendance. The event will take place in the Council Chamber of the Ormond Building, All Saints Campus, MMU. Ormond Building is number 14 on the map here, the Council chamber is on the first Floor – take a right out of the lift and then follow the corridor and signs to take you to the room. The aims of the clinical challenge are to reduce harm and enhancing safety across Greater Manchester. The Greater Manchester Academic Science Centre Network (GMAHSN), Manchester: Integrating Medicine and Innovative Technology (MIMIT) and TRUSTTECH, are working together to address unmet healthcare needs in the area and they are seeking any potential device that will address these broad challenges. This specific call does not include technologies for data mining / handling big data. There is up to £40K available per project for a period of up to 8 months. For full details of the event please see the agenda here – Agenda – AHSN Launch Event. Further details of the call can be found here – GMAHSN technology innovation challenge. Categories: Events, Funder Intelligence and Policy, Funding Opportunities, News | Tags: Event, Funding, Health, MMU | Permalink.